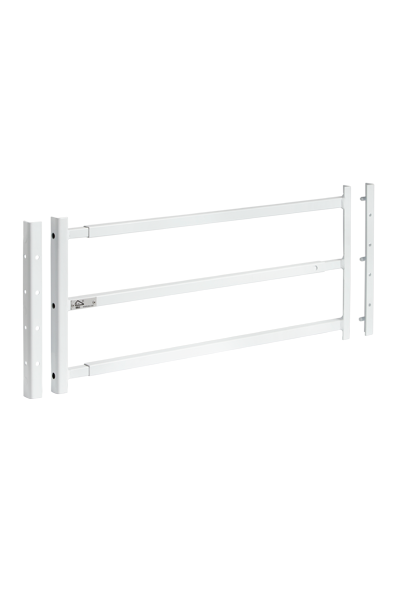 M&C offers an extensive choice in security products. 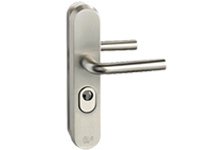 From cylinders to Security Bars and from door handle sets to padlocks. All come with a five year guarantee. There’s a solution for every door and every window. In most cases even more than one. 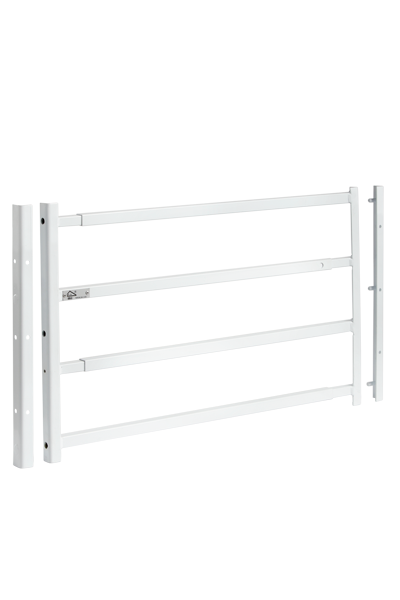 The most important thing that our products have in common is they ensure that you can secure your own environment. Your home, but also your business premises. A shop, for instance. Or an office. Everywhere it’s going to be more than secure. Enough time wasted. Get on with it! This page contains a collection of frequently asked questions. And the answers, of course. It’s possible that your question isn’t asked here. If you still want an answer, please contact us by e-mail. We are happy to help you on your way. + HOW DO I REPLACE MY CYLINDER? The video installation guide above contains step-by-step instructions on how to install a cylinder. + DO CYLINDERS NEED MAINTENANCE? If you lubricate your locks at least once a year, you prevent the cylinders from getting worn. The M&C Cylinder Service pin contains Interflon®, a maintenance lubricant that enables lower friction and smooth operation. + IS IT POSSIBLE TO OPEN ALL THE DOORS IN MY HOUSE WITH A SINGLE KEY? 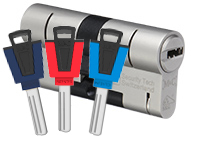 When the codes in two or more cylinder locks are the same we call them keyed-alike cylinders. It means that you only need a single key to open different locks. Keyed-alike cylinder sets are a standard part of our productrange. Please ask your distributor for more details. + WHERE DO I GO FOR EXTRA KEYS FOR MY M&C CYLINDER? You can buy extra keys from the distributor where you purchased your cylinder. You can find sales offices near you on our distributors page. + WHAT IS THE DIFFERENCE BETWEEN A SKG® TWO-STAR AND A THREE-STAR RATED CYLINDER? The difference between those two cylinders is the number of codes. De SKG® two-star rated cylinder has 40.000 different codes, the SKG® three-star rated version has 100.000 codes. 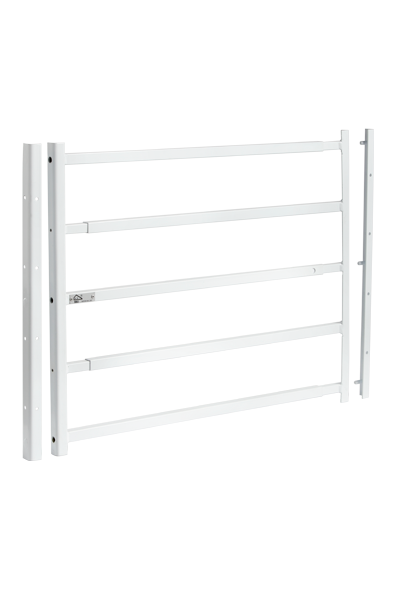 Furthermore the SKG® three-star rated cylinder is pull-proof. + I HAVE A PARTNER, A HOUSE AND AN OFFICE. CAN I WORK WITH A SINGLE KEY? With a master key system every user only needs a single key to provide him or her access to specific rooms, business premises, branch offices and homes. 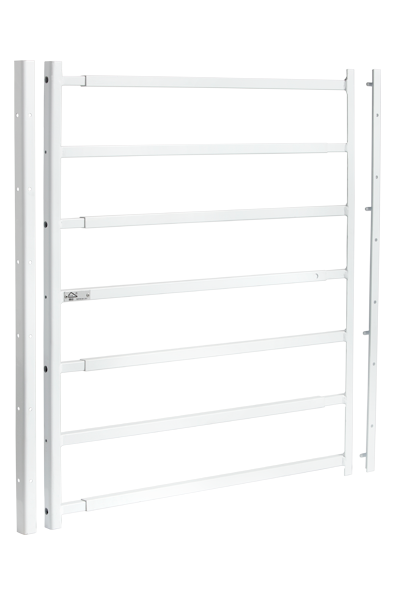 You can design the locking plan as big or small as you want. 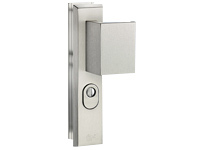 + WHAT DO I NEED TO CONSIDER WHEN BUYING A SECURITY DOOR HANDLE SET? It’s important for the new hardware to be compatible with the existing doorlock. That is why you need to measure the distance from the centerpoint of the hole for the doorknob to the center of the cylinder-hole in the doorlock. In most cases the dimension between axes is 55 mm or 72 mm. M&C has both versions in their productrange. 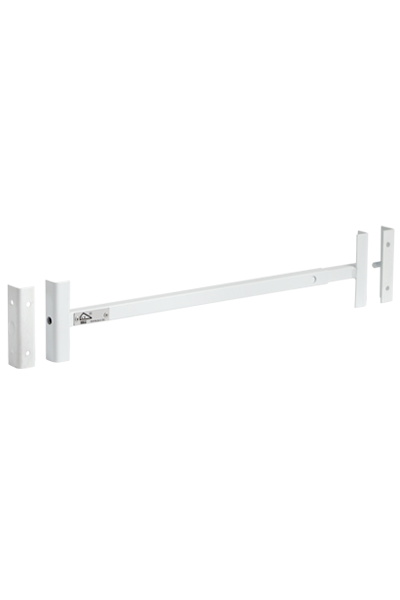 + HOW DO I INSTALL A SECURITY DOOR HANDLE SET? The video installation guide above contains step-by-step instructions on how to install a door handle set. 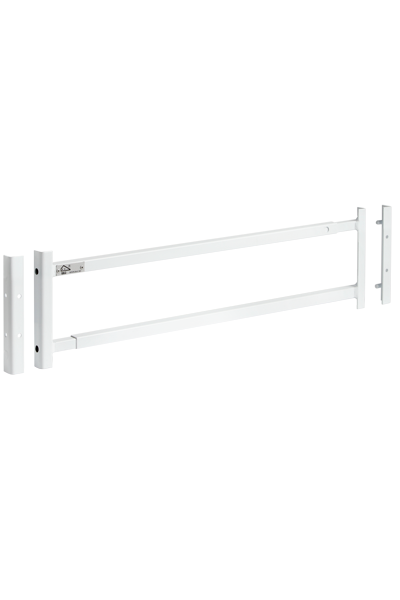 + ARE ALL THE M&C HANDLE SETS COMPATIBLE WITH BOTH RIGHT-HAND AND LEFT-HAND DOORS? 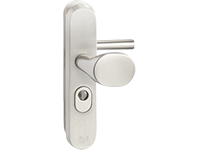 All of our door handle sets are suited for right-hand and left-hand doors. Lockpicking is a technique that requiers the manipulation of the pins in a cylinder in such a way that the lock can be opened without a key. With the use of simple tools called lockpicks the lock itself stays fully intact when picked. + HOW DOES ‘BUMPING’ WORK? With bumping one uses a customised key for the cylinder, called a bump key. This key is inserted in the cylinder and after a few blows to the bump key, the lock opens. The anti-bumping test is not reflected in the demands of the Dutch labels. 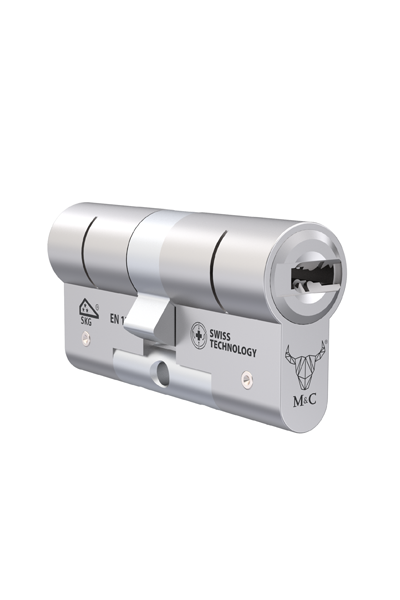 Our security cylinders however were succesfully tested by the British Standards Institution (BSI). That is why our cylinders carry their Kitemark. To be eligible for the SKG®*** label there are two testing methods based on lock drilling. With this burglary technique one turns a screw into the keyhole of the cylinder and pulls out the core (the part that is turned with the key). 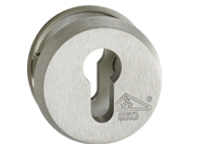 With the SKG-IKOB test they either ensure that a screw can’t be turned in the keyhole at all or at least the cylinder core can withstand a force of 15 kN. When a cylinder sticks out too far (more than 3 mm) from the backplate of the door handle set it can easily be gripped and broken with the aid of a simple wrench. 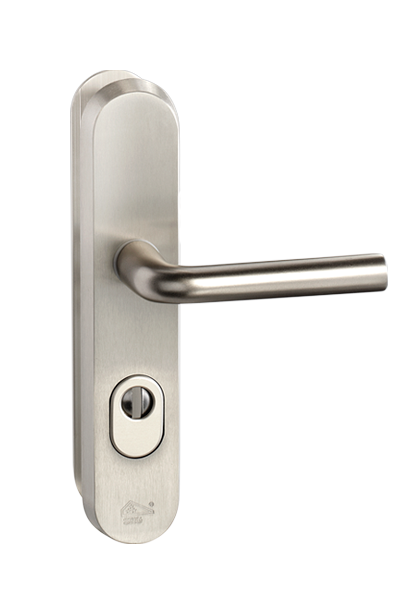 With security door handle sets (minimum SKG** label) or door handle sets with anti-pulling protection, you can prevent the cylinder from being broken. M&C cylinders with a steel tubular bar are virtually unbreakable. + HOW DOES THE IMPRESSIONING TECHNIQUE WORK? During the impressioning process, an uncut brass key is inserted into the lock. The key is slowly moved back and forth in a way that the lock pins leave prints. By shaping the key with a file, the lock can be opened without damaging it. 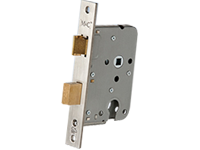 + WHAT DO I NEED TO CONSIDER WHEN BUYING MORTISE LOCKS? Sometimes you wish to replace the existing door lock while you want to continue the use of the current door handle set. In this case you can measure the distance between the center of the hole bored for the doorknob and the keyhole. This so-called PZ is in most cases 55 mm or 72 mm. 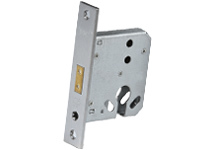 + HOW DO I MEASURE THE BACKSET OF MY CURRENT MORTISE LOCK? 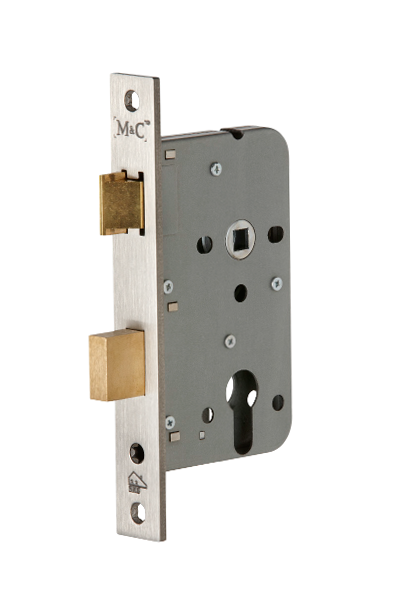 The backset of a mortise lock is the distance between the strike plate of the lock body and the centre of the cylinder bore. + HOW LONG IS THE WARRANTY ON M&C PRODUCTS? The warranty on the M&C products is 5 years. You must be able to present the purchase receipt.